Day 5- After sleeping like a ROCK, Peter and I slowly got up to get ready for another day in Shanghai. First stop on our list… breakfast at McDonalds! While I wasn’t particularly opposed to the breakfast (aka dinner) we had in Suzhou, today I wanted some good ole breakfast food. Specifically, an Egg McMuffin. Granted, I NEVER eat at McDonalds in America. I just don’t. I tend to avoid fast food because it is greasy, processed, and leaves me feeling blah. But this morning, after feeling awful all day yesterday, I decide that an Egg McMuffin will be perfect fuel for a long day of walking. We walked for 10 minutes from the apartment to the nearest McDonalds, a very typical Micky Ds, nothing out of the ordinary. No chicken feet burgers or whatever on the menu. So far so good. We got to the counter and ordered two McMuffins, a cup of coffee, and bottles of water. Then the girl informed us… they are all out of McMuffins. OUT OF MCMUFFINS?? This sounds more like China. I am upset. And I am hungry. Ok…. well do they have yogurt parfaits? Nope. Alright, so what does that leave me? A burger. A burger for breakfast?!?!? Hell to the no. At this point I was hungry and pissed. My perfect breakfast was ruined. Poor Peter was perplexed. I told him to just get me a coffee. Peter devoured his burger while I sat and seethed, saying nothing. I refused to speak for the rest of the meal. He asked me helplessly if I wanted to go somewhere else. Nothing. Nope. Nada. He got up and bought me a muffin, brownie, and a frappe to try and get me to eat something, ANYTHING. I refused. At this point I started feeling sorry for Peter and decided that a burger would not be so awful, however I was too far into my stubbornness to say it out loud. In the middle of my hunger strike, an old Chinese man sat at our table, slowly looked at us, then turned his back to us. I was shocked and almost started laughing, then remembered that I was supposed to be protesting in silence. The old man was waiting for us to finish our bottles of water so he could collect them immediately. Sorry buddy, we’re taking them with us. Finally, after 20 minutes of my silence and Peter’s concern over my sanity, I asked him to buy me a burger. Relieved, he brought it over and I immediately devoured it. And you know what? It was good. And I am a jerk. Again, poor Peter realized the importance of FEEDING KIRSTEN AND FEEDING HER WHAT SHE WANTS. Or else I am a complete baby. 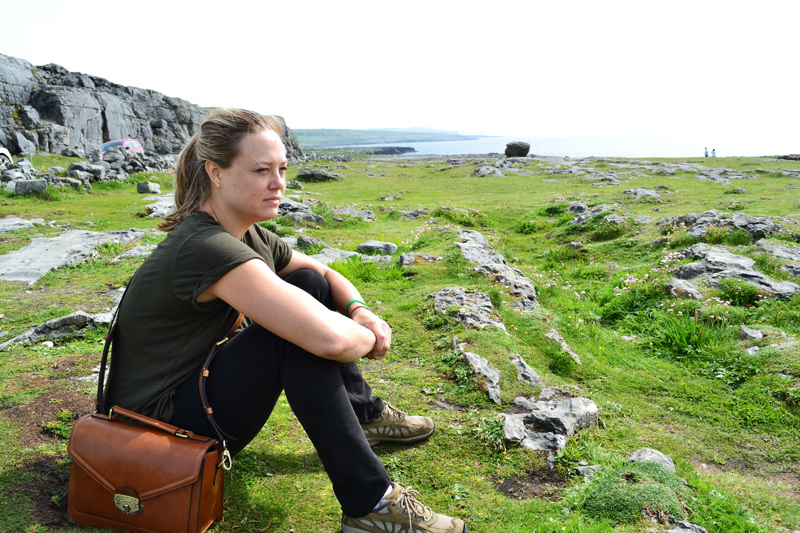 Thankfully there were no tantrums or tears…. not today anyway. After this fiasco of a morning, we made our way downtown again via the subway. Fed and happy, I apologized to Peter for being a hungry brat. I guess the day could only get better from here. And it did. 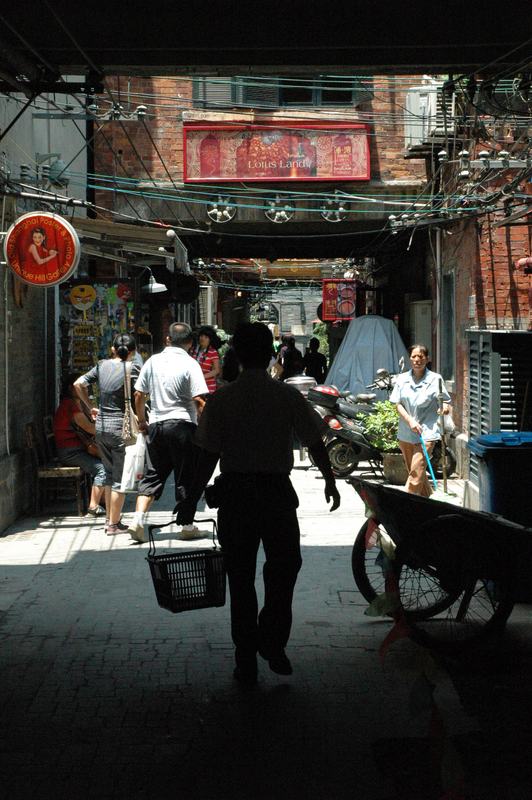 Peter took me to this wonderful shopping area in Dapuqiao located in a network of back alleyways and side streets. It was narrow and dark with bright, colorful stores luring customers with doors flung open. 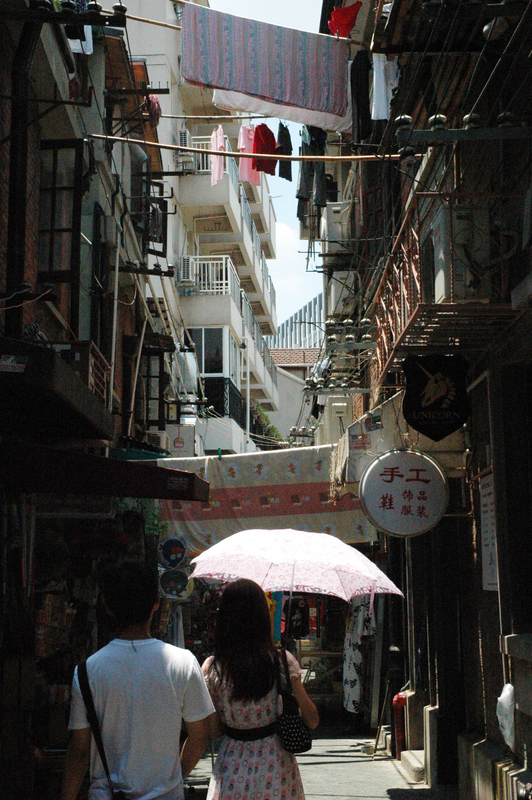 A healthy mix of Chinese and foreigners alike strolled along the cobbled streets, stopping to handle goodies at the many booths, and bustling onward with hurried leisure. Clothing lines, lamps, and street signs crowded the narrow space above giving the sense of connectivity and claustrophobia. This was one of my favorite spots during my trip. There was an assortment of shops selling everything from hand-carved wooden chess sets to beaded jewelry to funny toys. While many of the objects for sale were a bit touristy and found at many of the shops, each stop was unique. From the way they present themselves on the inside and out, you did not know what to expect which I LOVE. Authenticity despite duplication. Actual apartments of locals intermixed with the shops. It reminded me that the people who own these shops are people with their own life. And they probably do not shop here. Hah. I was amused by the many trinkets and toys for sale. 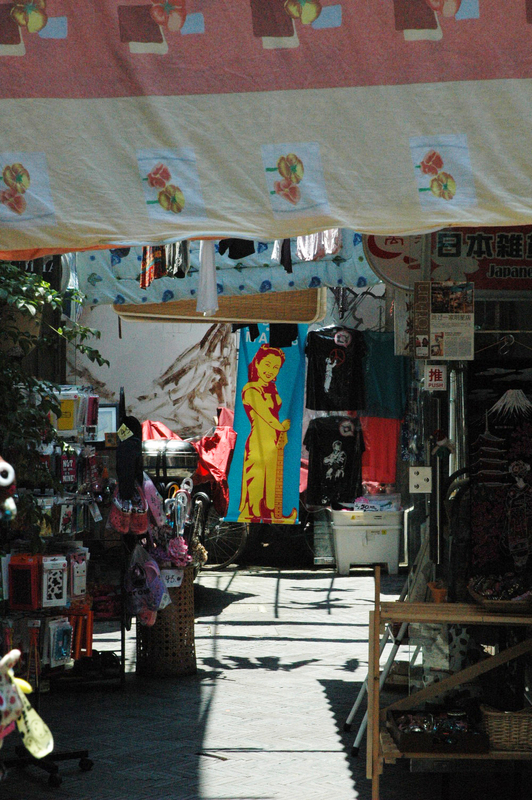 In addition to beautiful local crafts there were also cheap and funny toys, t-shirts, postcards, and keychains familiar in tourist traps. There was an affluence of cute little animal toys with big eyes and small bodies. I also spotted a Hello Kitty store and another shop exclusively selling plush stuffed animals. I was tempted to buy a large stuffed bunny but resisted after thinking of how obnoxious that would be to carry around. There were also a lot of depictions of Obama in communist attire. I am not sure if this was supposed to be a joke or serious, but I found it amusing anyways. I was tempted to buy this shirt. I was also tempted to buy this cute/creepy dog doll. I DID end up buying an awesome fedora hat. Who does it look better on? 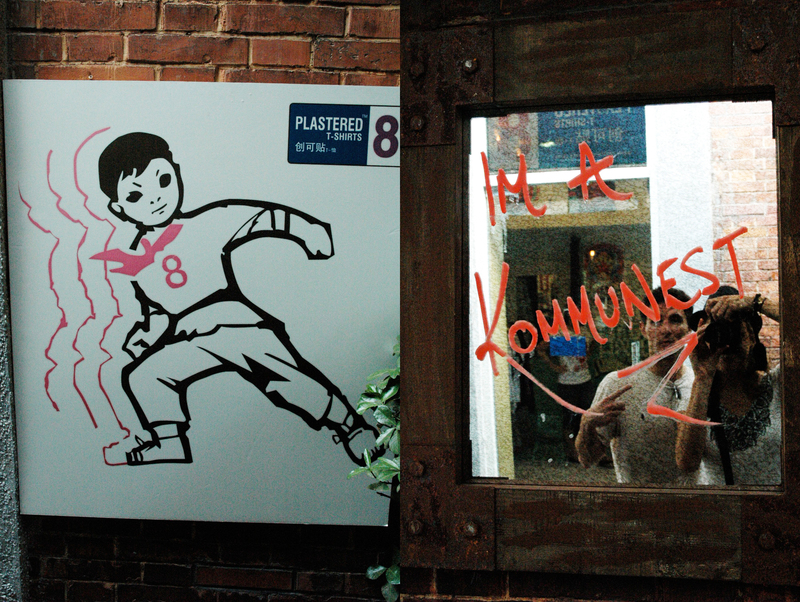 Although China is a communist country, I continue to be surprised by the communist imagery that I encounter. It seems to be incorporated in a lot of pop culture which makes it difficult to tell whether it is being critical or just the norm. 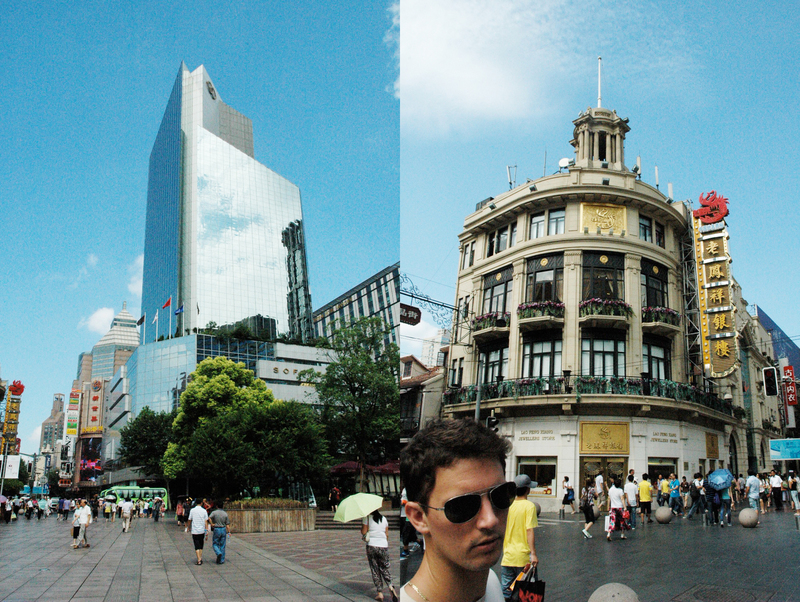 After walking around for a good 2 hours, making sure to stop and hydrate in the sweltering heat, we headed back to Nanjing Road. But first we grabbed some lunch at the street vendor around the corner. We saw a woman in an amazing bedazzled cap vigorously sliced greasy flatbread for another customer. Peter ordered some plain sesame bread and some seasoned bread which the woman sliced up and dropped in a plastic bag for our pleasure. I tok a bite and was blown away by the most delicious, doughy bread I have ever tasted in my life. The bread is warm, basically fried, and dripping in oil. The seasoned bread is my favorite with its deep flavors and little kick of spiciness. We slowly tore apart each slice, licking our fingers, and wiping our mouths in delight. We finished every last slice. It is the best meal I have had in China thus far. Our plan for the afternoon is to take the ferry to the financial district and visit the aquarium. For some reason Peter thought going to the Shanghai aquarium would be a special experience. I believe that I have seen plenty of fish in my lifetime but I am up for the challenge. He said that there is something special in the aquarium that he just needs to show me. Ok… maybe a shark? Clownfish? Scubaman? We shall see. 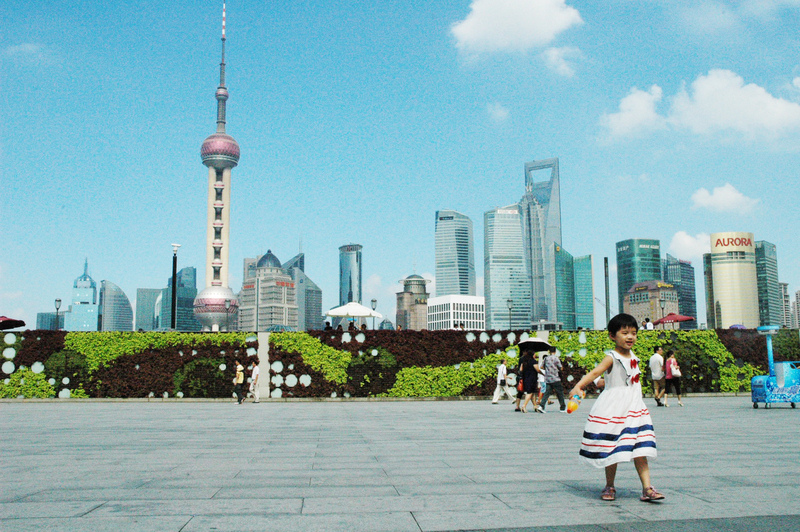 It is a beautiful, clear day and Shanghai looks better than ever. We walked along the Bund once again and took in the spectacular view. It is less crowded today on a Monday and the buildings shine clean and bright in the sunlight. I cannot wait to see them at night. Next on the agenda… the aquarium! And Shanghai at night. Long weekend and some BIG NEWS! 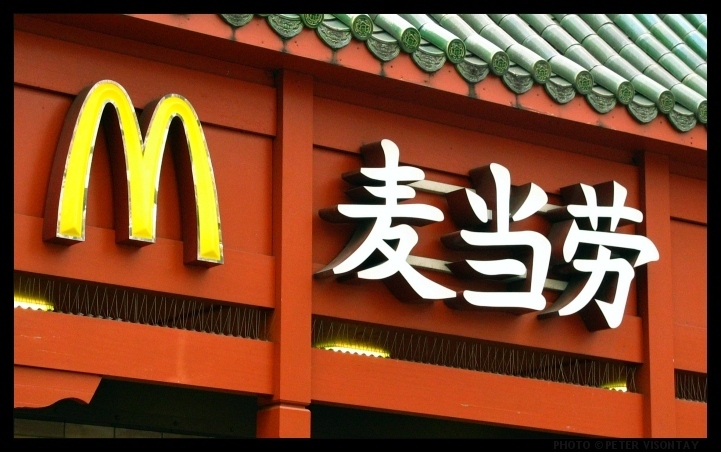 Having said that with a McD’s in Beijing in the press this week for dumping split bags of buns on the concrete outside and then serving them to customers – it might be best to avoid them at the moment. Wow, 3.5 hours? 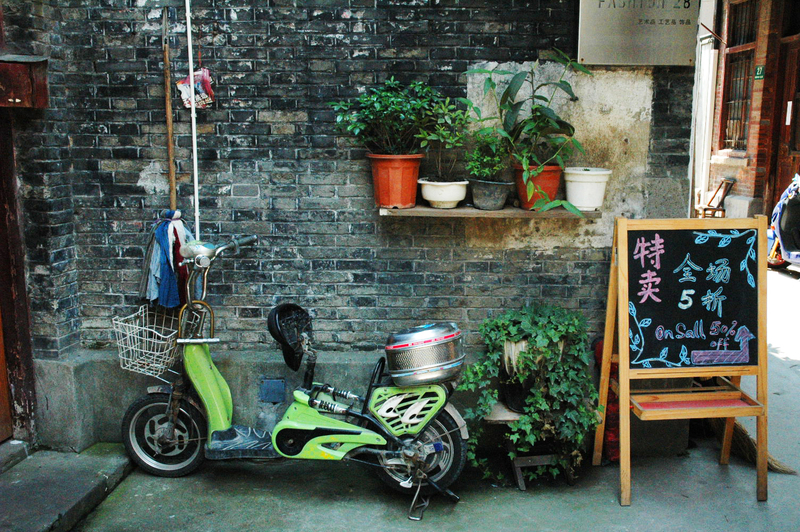 This is China. But yes I think I will be avoiding McDonalds in all countries for the time being.